More and more people are taking cruise holidays, according to latest figures. 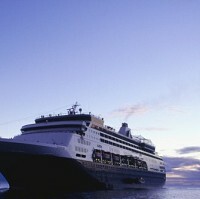 Last year the number of people taking global ocean cruises rose 10% from 18.7 million in 2010 to 20.6 million in 2011. The large majority of cruise passengers were from North America (11.5 million) and Europe (6.2 million). In recent years the number of cruise passengers from European countries such as the UK, Germany, Italy, Spain and France, has been steadily rising. In Europe the figures show an increase of nearly a tenth last year on the 5.56 million passengers in 2010. In the UK 1.7 million tourists took a cruise in 2011, a year-on-year increase of 5%. Over the past half decade there has been a 7% to 15% increase in passengers from Europe, suggesting the number of people arranging cruise travel insurance is also likely to have risen. Industry associations including the Cruise Lines International Association, European Cruise Council, Passenger Shipping Association (PSA), International Cruise Council Australasia and industry analysts G P Wild (International) Limited contributed to the figures. Bill Gibbons, PSA director, said: " British ocean cruise passengers exceeded 1.7 million for the first time in 2011 and are currently the second largest source of cruise passengers in the world."